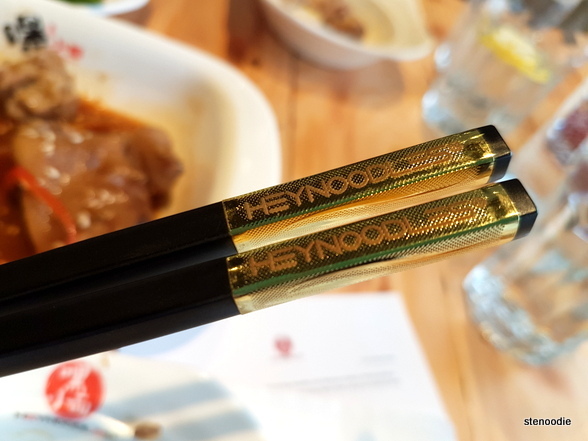 March 27, 2019: There is a new location of HeyNoodles restaurant in Markham! 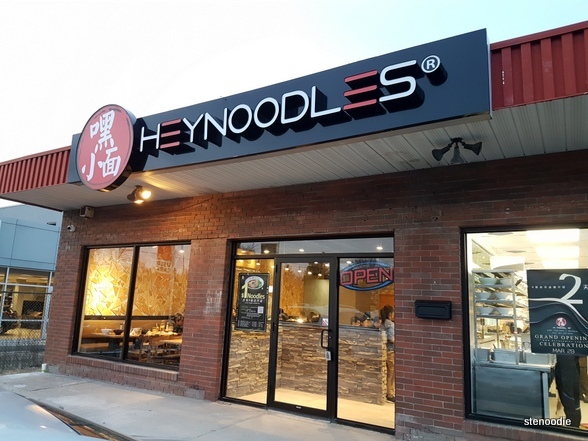 HeyNoodles, already quite prevalent in the Greater Toronto Area with four current existing restaurants, serves Chongqing style noodles. 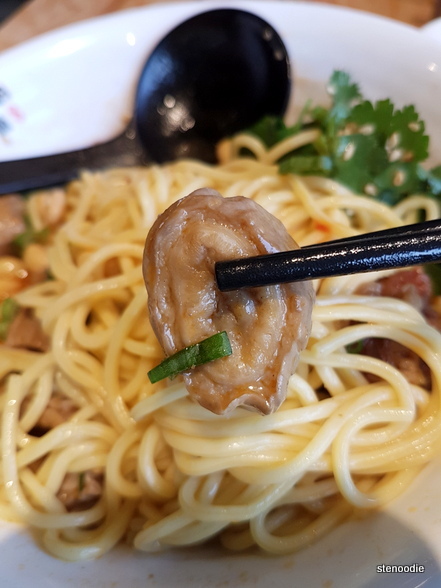 It means “xiao mian”, literally “little noodles” in English. Xiao mian is a traditional breakfast dish in Chongqing that is widely consumed by Chongqing residents. The dishes are typically low-priced and are a common street food in Chongqing, China. 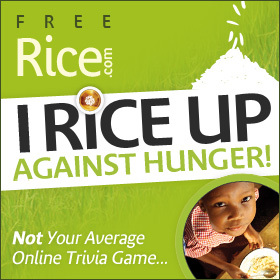 They also feature abundant spices and herbs resulting in both a spicy and numbing sensation. 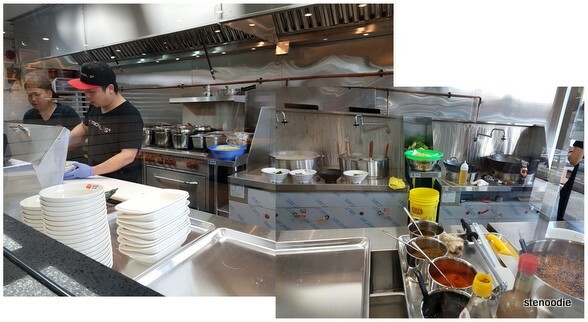 I was invited here by DevonDine to try out the food and to promote the upcoming $1 Chongqing Street Noodle promotion and celebration for the opening of this new Markham location (舌尖上的嘿小面) (situated on Highway 7 east of McCowan Road). 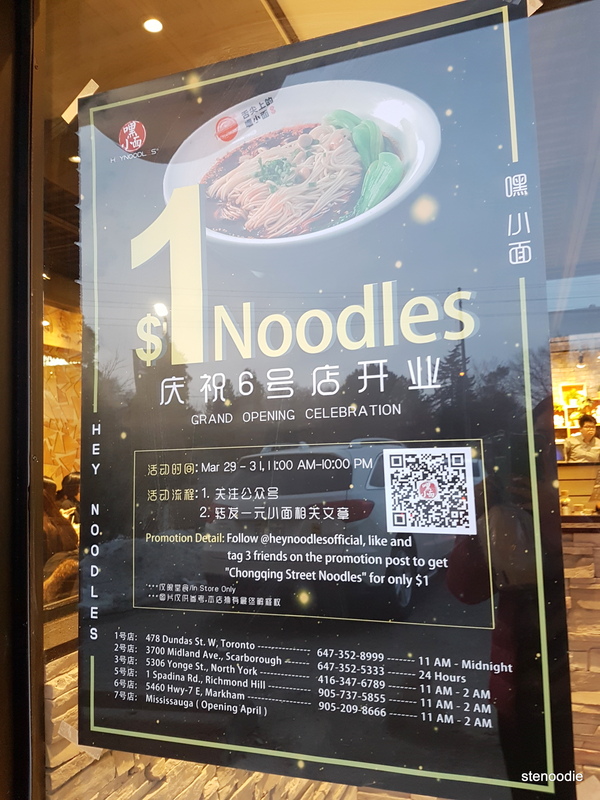 See more details on how to redeem the $1 noodle from all of their locations on March 29, 30, and 31, 2019 by visiting their Instagram page. 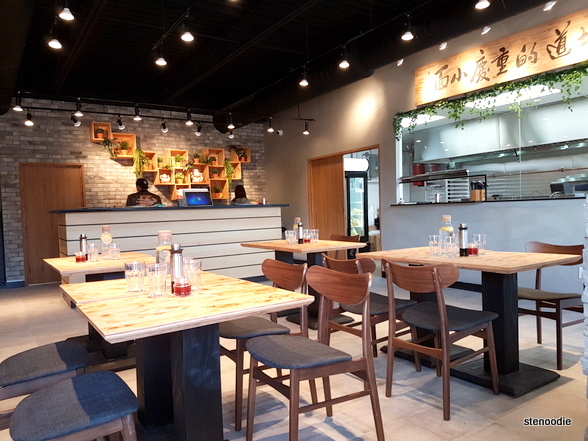 It’s a newly renovated restaurant, comfortable, and spacious with a wood-feature accent wall and large glass windows looking into the kitchen for patrons to admire the cooking process. 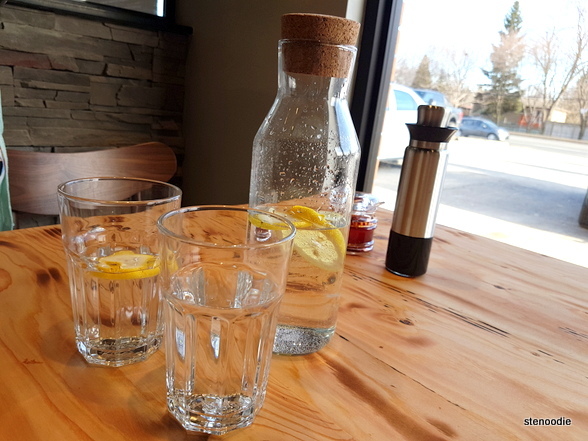 Already on each table were jugs of lemon-infused water with water glasses as well as soy sauce and chili oil condiments. The tables were also either made of wood or had authentic-looking wooden patterns were a nice touch, especially since it matched the accented wooden wall. 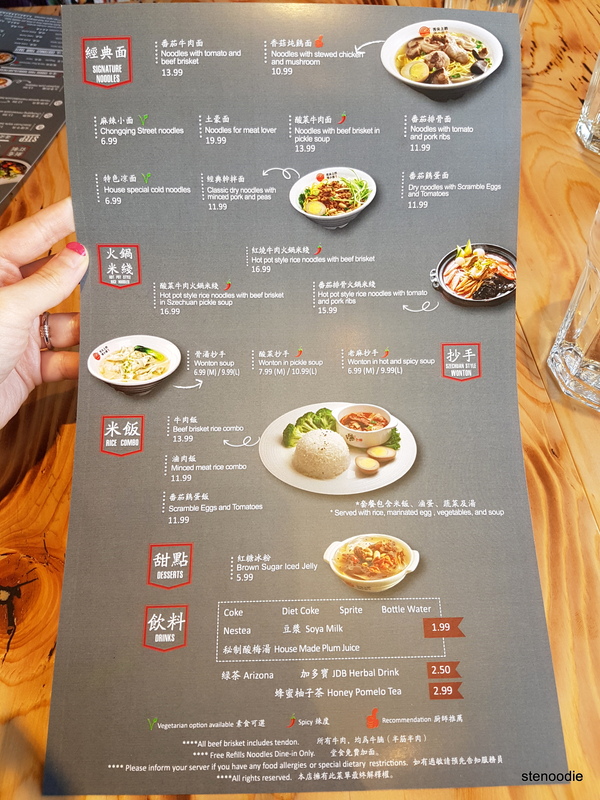 Devon explained the details for the night and recommended his favourite dishes: numbers 1 (Szechuan Style Beef Brisket) and 3 (House Special Marinated Pork Belly) on the main DIY noodle menu and the Classic Dry Noodle with Minced Pork and Peas. 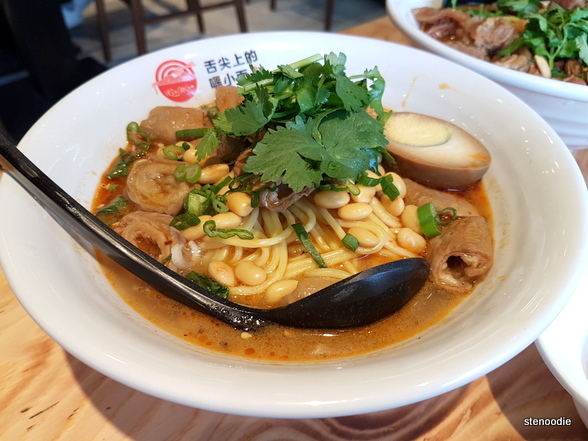 The $1 noodle promotion for the upcoming celebration special on March 29, 30, and 31, 2019 was the Chongqing Street Noodles, which is a vegetarian noodle. I previously had this at the Richmond Hill location. On this visit, we were able to try two noodles, three appetizers, and three drinks. 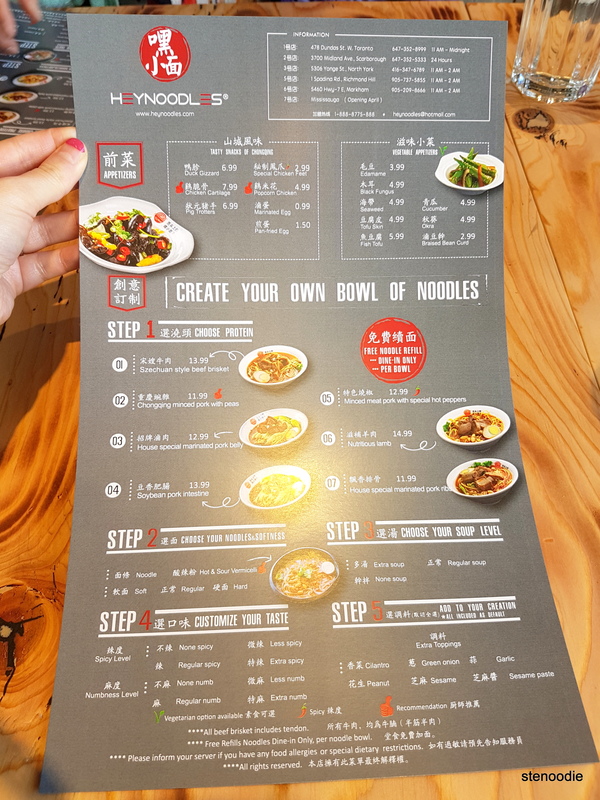 You can customize each bowl of noodles with the protein, type of noodles and the softness of it, amount of soup, spicy level and numbness level, and toppings (cilantro, green onion, garlic, peanut, sesame, and sesame paste). 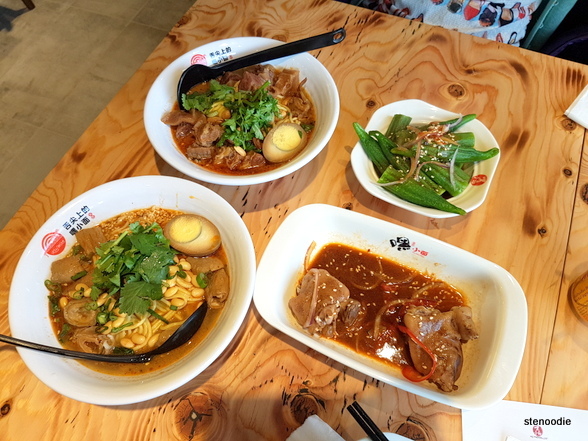 I chose the Soybean Pork Intestine with regular noodles, extra soup, less numb and less spice, and all the toppings. I tasted the broth first, and it was delicious!! 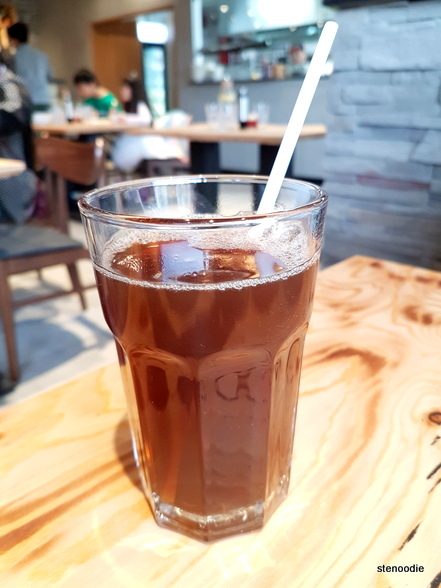 It was so flavourful and full of umami flavour! It also wasn’t very spicy or numbing at all (Devon warned me about how their spices are spicier than most place.) I was so impressed with deliciousness of the soup! Next, I tried the noodles. Visually, these noodles were thicker than the ones I typically like, but when I tasted them and they were soft and tender, I liked them too. These thicker noodles went well with the slight spice. 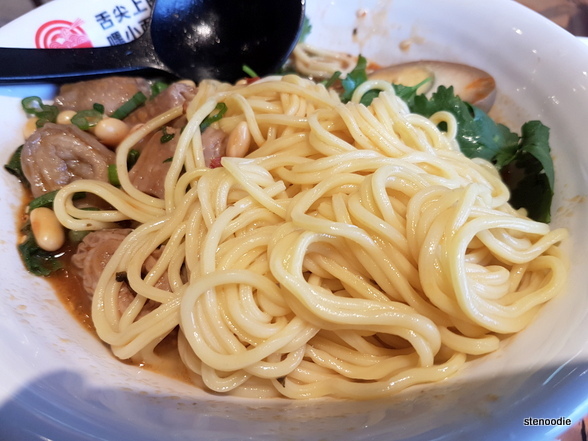 As I got to the bottom of the noodles, the sauce was more concentrated and thus a bit more spicy and numbing, but the spice in general was still very minimal and tolerable. 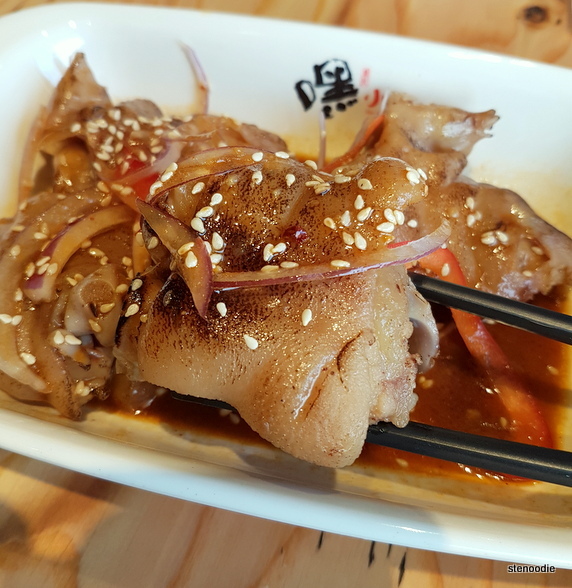 Have you tried pork intestine before? The Szechuan Style Beef Brisket that my mom ordered had soft noodles, extra soup, regular spice, and all the toppings selected. I was impressed with how tender and soft the beer brisket was! A lot of the pieces were the tender portion of the brisket, which is the best part! 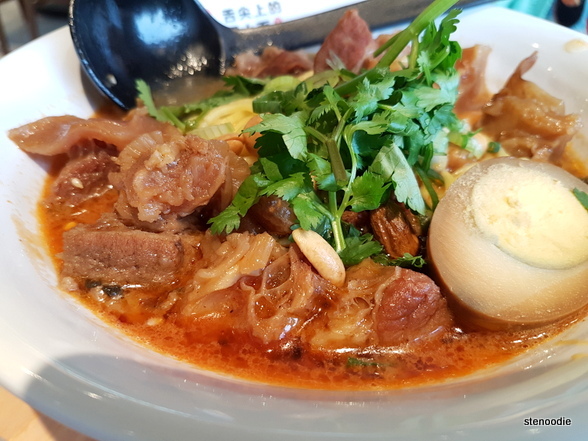 Devon also mentioned that in addition to their noodles being distinguished, their cuts of meat are carefully selected and marinated too. 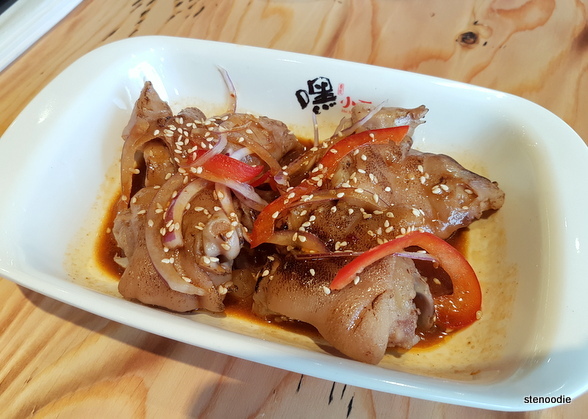 The Pig Trotters appetizer came in a dish of four pieces with a pool of spicy and numb sauce on the bottom of the dish with slivers of onion and red peppers. The pig trotters were cooked well and well-matched with the accompanying sauce. My mom really enjoyed this dish too! The Okra vegetarian appetizer was also served the same way as the Pig Trotters with sauce on the bottom of the dish for dipping and slivers of onions and red peppers. 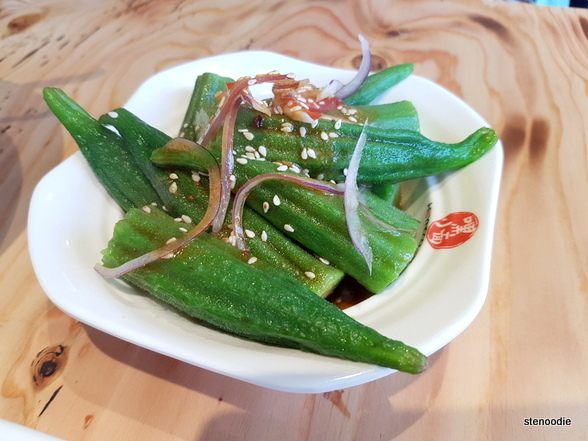 The okra was fresh and so refreshing to eat between bites of spicy noodles and meat. The third appetizer we had was the Popcorn Chicken. I originally had wanted to try the Chicken Cartilage, but I mistakenly asked for the Popcorn Chicken when the Cartilage didn’t arrive. 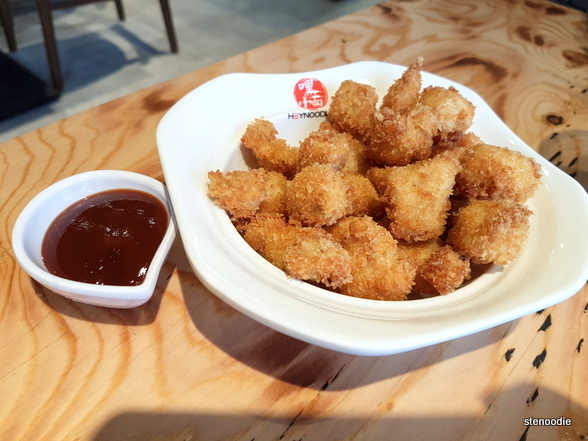 The Popcorn Chicken was a dish full of deep-fried bite-sized pieces of chicken with a dipping sauce. This was a unique style of Popcorn Chicken that I hadn’t had before. I can picture myself just snacking on these when catching up with a group of friends. In fact, because HeyNoodles has so many great appetizers, it wouldn’t be a bad idea to order ten appetizers and have a girls’ night/feast here. Thank you so much to DevonDine for inviting me and the staff of HeyNoodles for making our stay so welcoming and delicious. 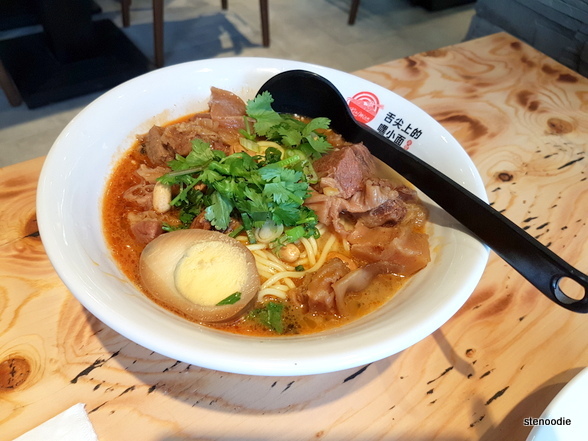 My first visit to the Richmond Hill location was a tad disappointing but after trying this new Markham location, I’m sold on this Chongqing style of spicy noodles! I’m definitely going to visit more in the near future! FTC Disclaimer: Although I was invited to a complimentary tasting at HeyNoodles, the opinions expressed here represent my own and not those of the business. 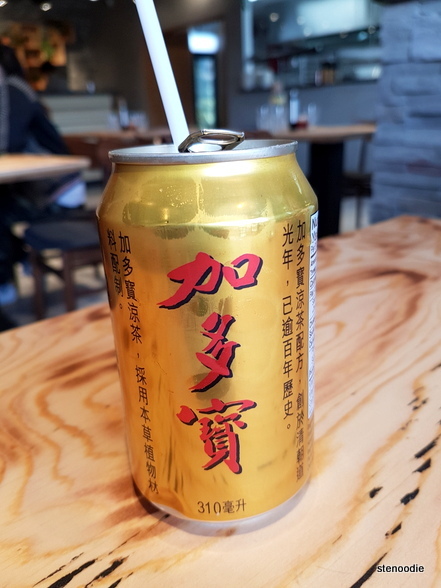 This entry was posted in Complimentary Adventures, Food and tagged 5460 Hwy 7, 5460 Hwy 7 E Unit 1, Chinese, Chinese soup noodles, Chongqing style noodles, food blogger, foodie, Hey Noodles, Hey Noodles 舌尖上的嘿小面, HeyNoodles Markham, HeyNoodles Markham $1 noodle promotion, HeyNoodles menu and prices, House Made Plum Juice, JDB Herbal Drink, Markham, new noodle restaurants Markham, Okra, Pig Trotters, Popcorn Chicken, Soybean Pork Intestine, Szechuan Style Beef Brisket. Bookmark the permalink. 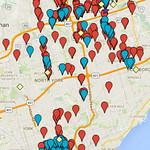 I think I went to the location at midland and mcnicoll? It was so yummy!!! They have so many locations, I wouldn’t be surprised if indeed you did go to one of their locations too! Which item did you order? Do you remember?